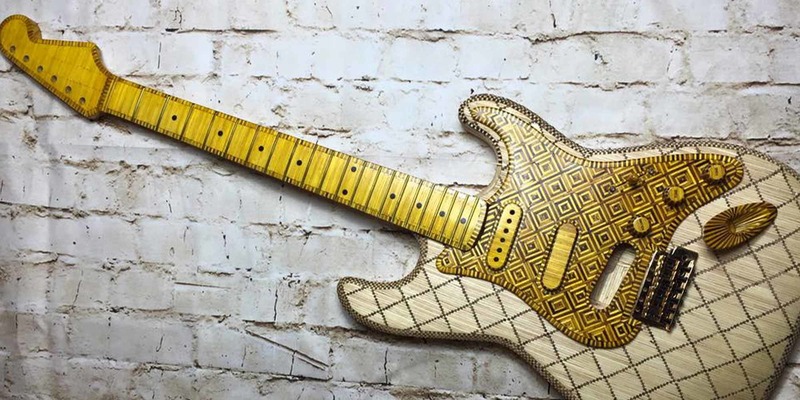 From master-built one-offs to garage-built Frankenstrats, we see a lot of interesting guitars here at Reverb, but this Art Deco style ‘54 Stratocaster tribute, created entirely from individual matchsticks by Dean Fraser, a Reverb user in the UK, is truly one of a kind. Since launching Fraser Guitars, where he’s the sole proprietor, two years ago, Dean has hand built more than 100 instruments, including the Matchstick Strat. Despite being an in-demand boutique builder, he made time to speak with Reverb about the inspiration for the guitar, its materials and construction. When did you begin the build? 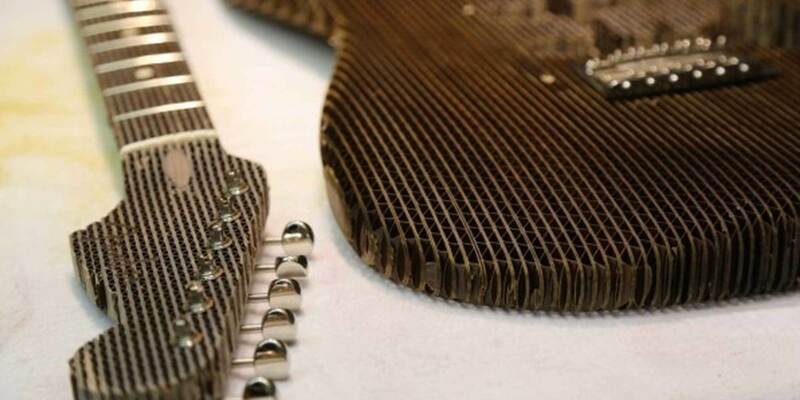 The guitar was started using ration pack matchsticks in 1998 while serving on operations with the Armed Forces. It was then shelved until 2014 when I started working on it again, after being medically retired from 16 years’ service as a frontline combat infantryman. I was very ill at the time of my discharge and couldn't make guitars the conventional way due to my health. Making the guitar has been particularly therapeutic. I have been working on this 1954 Stratocaster tribute guitar for over three years on and off. It’s been a labor of love, and I’ve never been in any great hurry to finalize the project. How many packs of matches/matches did it take? An estimated 40,000 matchsticks have been used in total. I lost count of specific numbers a few months into the project! What kind of glue holds it together? The matchsticks are held together by Cascamite powdered resin wood glue. Cascamite is generally used in boat building and outside woodwork and was chosen for its superior ability to bond wood. Have you built other matchstick projects? This is the first matchstick project I have worked on. However, now that the Stratocaster tribute has been completed, I plan to start work on a ‘52 Telecaster tribute. What was the genesis of the guitar idea? From making my first guitar at the age of 14, when I couldn't afford the cost of a genuine Stratocaster, I wanted to show that beautiful working pieces of art could be made from non-traditional materials and methods. What started as a bit of banter amongst fellow soldiers, laughing as I randomly collected their ration pack matchsticks, which would often be discarded, became a challenge which I undertook but did not, at the time, complete. Along with my illness, prior to my discharge, came time to think and reassess – I picked up the matchsticks where I had left off in 1998. The Art Deco design evolved along with the lines of the guitar – the intricate pattern seemed fitting to such an iconic design. Signal Snowboards has partnered with Ernest Packaging to create a cardboard Stratocaster, built with Paul Waller, a Fender Guitars master builder. What other guitars do you own/play? As a luthier, many guitars have passed through my hands. At any one time, I have an average of 30 guitars knocking around, mostly my own designs. While I favor the Stratocaster and Telecaster, I also admire the designs of Gibson. My current favorite is the original 1962 Futurama that my wife, Marie, bought me as a gift. The Stratocaster is an iconic design which is instantly recognizable. It was the first guitar I played and has significant memories attached.